Her temperament is very serious (some may even say it's elitist) and she's able to do things on her own. She does, however, have a little trouble opening up to those close to her. she is sometimes suspected of being... lonely. 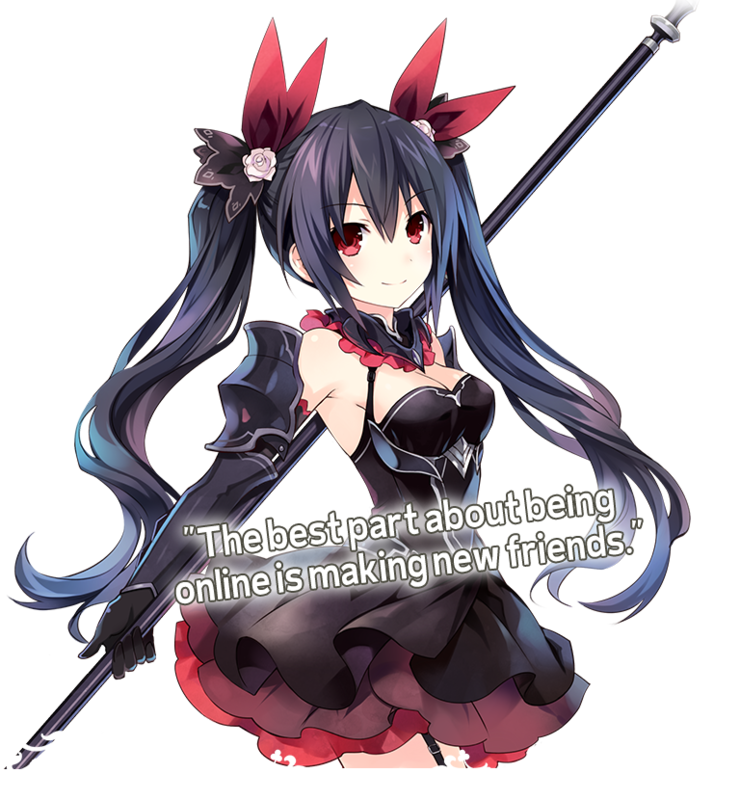 However, she happens to have many friends to play games with and really isn't ever lonely at all, of course. Her hobby of choice is cosplay, although she hides this from others. 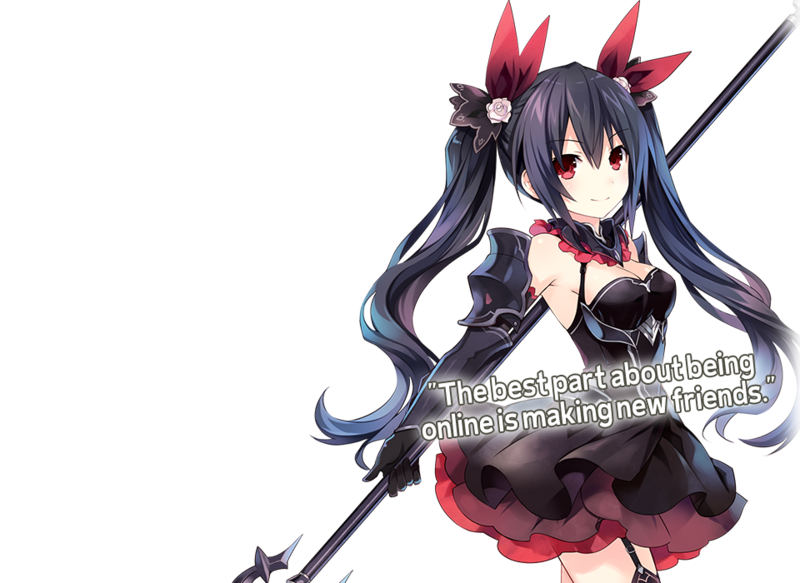 She spends her time in 4 Goddesses Online exploring costume ideas. She has chosen the Black Knight class. As a powerful, offense-oriented type of character, her only skills are those that specialize in close combat.